That’s right. Lt. Lemon is officially off the market. He was married, Saturday, at an undisclosed location. 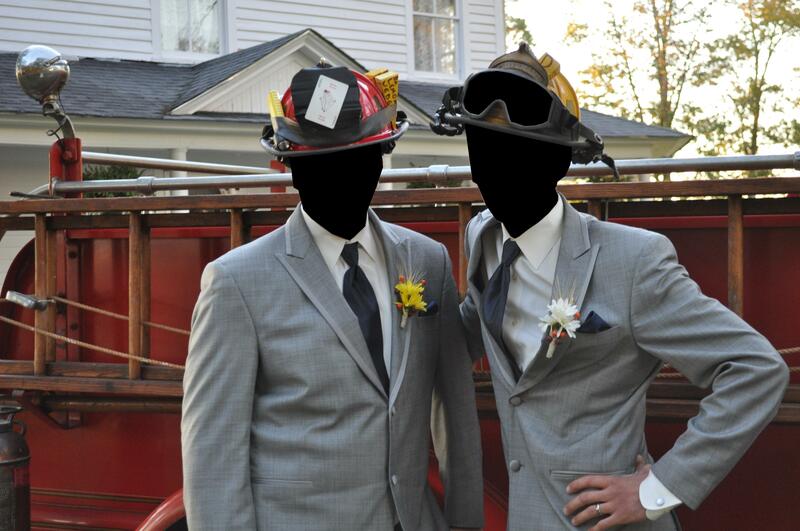 Captain Chaos was by his side, along with a few other TRUE fire service Brothers. A large crowd of family and friends attended, and an epic reception followed…in true, ELAFF style. The Lt. and Mrs. Lemon are headed off the grid for a week. He has some good stuff planned once he returns…including an ELAFF road trip and a product review. Plus, there will probably be some inspirational rants. Congrats you two! And welcome to the world of firefighting spouses Mrs. Lemon. I must say, Cpt Chaos and Lt Lemon look pretty snazzy! HA! Yeah lemon! You DID use a bunch of leather didnt you? Oh please describe in full detail, were all on pins and needles!